Muslims, Hindus and Sikhs say a vision of Jesus changed their lives and led them to believe in him. Christians and sceptics in the west say they too have had visions of Jesus that profoundly changed them. Is it possible, or were they just hallucinations? What difference does it make? These questions have been investigated, and the answer may be more complicated than you expect. I present these stories as they are described, without initially making any judgment about whether the visions were ‘real’. A discussion on whether they could be ‘real’ follows. Jim Link had two separate visionary experiences. The first, as an unbeliever, occurred while he was watching TV at home in Ontario Canada one evening, and it seemed like the screen became invisible and a human figure was in the room. The figure didn’t speak, but he beckoned Jim to come to him and Jim immediately thought it was Jesus and remembered his words in the New Testament: Come to me all you who are weak and heavy laden, and I will give you rest. This experience led to him deciding to be a christian. Fifteen years later, while meeting with other christians, he had another vsion, and Jesus questioned him for several hours. The others could hear Jim’s response but saw nothing. Deby Stamm-Loya had an abusive upbringing from her atheist father and as a teenager ended up using drugs (mostly LSD) and a gang leader. But she became interested in religion and read library books and eventually the Bible, and she “surrendered” to the presence she found there. Much later in life, she felt she needed to know God better, and that night a man she instantly recognised as Jesus stood at the end of her bed and spoke to her at length, re-assuring her that he loved her and she should follow him. Deby felt sure she was awake when this experience began, as she could see out through her bedroom doorway where her parents were sitting, although she later ‘lost natural consciousness’. She was equally adamant that this experience was very different to her drug experiences. Deby was, at the time of writing, completing her doctorate degree in ministry and had founded an organisation helping prison inmates. When Maureen Haser was 29 years old, married and living in Ontario, she and her husband went on a marriage enrichment weekend. They were having problems, and she felt she could not offer him unconditional love. Alone in her room, Jesus appeared to her, and though he didn’t speak, he communicated that he loved her and wanted to help her, and she felt she understood forgiveness for the first time. Several years later, while lunching with a friend, Jesus sat down in a vacant chair at their restaurant table, wearing Biblical clothes. Nothing was said, and her friend saw nothing, but after he left, Maureen remarked: You’d think he’d wear normal clothes if he’s coming out to lunch. Simultaneously, both had the thought: That is how you recognise me ! This is a very simple story. Henry Hinn was a 19 year old Greek Orthodix christian when he went to pray in a forest close to his home in Ontario. It had only recently snowed. Jesus suddenly appeared to him, and 2.5m away and spoke to him briefly, to encourage him. After he disappeared, Henry noticed that the snow had disappeared where Jesus had stood, and he could stand on the dead grass. Barry Dyck was an 18 year old christian in British Columbia (Canada) in 1974 when he had a skiing accident that broke 3 vertebrae in his neck. In hospital, swelling caused his vision to become blurry, but the night before surgery was planned, he woke up to see Jesus at the foot of his bed. They conversed briefly, Barry touched Jesus’ hands, and Jesus said to him: Everything is going to be OK. The next morning Barry woke up with full vision and no pain. X-rays confirmed that there was now no fracture where there had been previously, and he was allowed to return home weeks earlier than expected and with no need for a neck brace. You can read Barry’s account of this experience here. The most important part was that when Jesus was there, the love was so beyond anything I have ever experienced by a factor of 777, that my first and only thought was “take me with you.” ….. The love was truly indescribable. The next day I remember thinking of one of the worst humans to have walked this earth, I thought that I too would have died for that person, because that love was not a doctrine, it was a reality. Yes Jesus healing me. But far, far above that was that he loved me, and I FELT IT! ….. The feeling of this love faded over the course of about 3 or 4 weeks ….. Jesus loves me this I know, for his presence told me so. And for those reading this, He loves you too with the same intense, indescribable, never ending love. Finally, a story that goes beyond any of the others, which I will report as outlined in the book. Kenneth Logie was the pastor of a Pentecostal church in California in 1954, when Jesus appeared at an evening service and, seen by the 50 people present at the time, walked up to the platform and, after Kenneth fell to the ground spoke to him in another language. Following some other extraordinary events, a 8mm movie camera was purchased. And so, in 1959, when Jesus appeared again, he was seen by about 200 people, and the event was captured on movie film. The film was subsequently shown publicly to about 200 people, including Phillip Wiebe, then an undergraduate. He has since interviewed several people who were present at the viewing, and most agree with him that it records an unusual vision, though some do not remember it well and some believe an actor was used. This is important, because the movie film was subsequently stolen from Kenneth’s home. It is impossible for us to know without doubt the truth or otherwise of these stories, but Phillip Wiebe says that he feels sure the people he interviewed genuinely believed they had seen what they reported. Some may not be true accounts, but it is clear something happened in many of the cases which had a profound influence on the people concerned. It is easy to simpy say these experiences were merely hallucinations or dreams, but Wiebe finds that none of these three classes can satisfactorily explain these events. 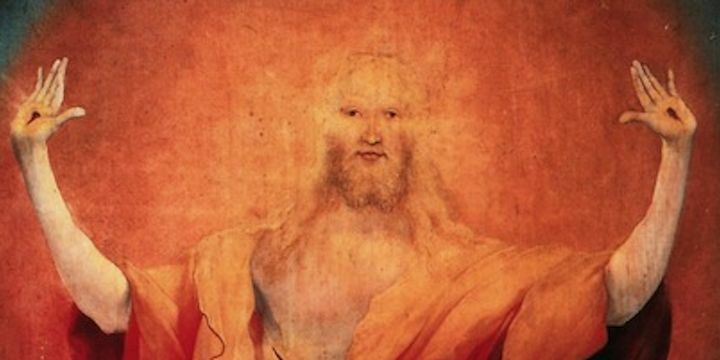 Wiebe considered four main supernatural sources of these visions: an infinitely powerful God, acting in an unknown way to produce these visions; an actual appearance of the resurrected Jesus; an appearance created by the Holy Spirit; or an appearance created by angels or other spirit beings. Although most christians would believe that Jesus could easily appear to people as reported, few would probably try to define how this might have occurred. Wiebe found that it was difficult to express any of these theories in a clear enough form to define the process and make a judgment on plausibility, or to prefer one theory to another. In summary, there is no reason in principle why these visions could not have a supernatural cause, but there is insufficient information to make a judgment. He concludes that the most likely way that supernatural theories could be accepted is if the other more natural theories prove unable to explain the phenomena. Possibly the most immediately obvious explanation for these visions, in the public mind at any rate, is that they arise from some mental state, such as a hallucination or dreams. Wiebe considers explanations from psychical research (the idea of a disembodied ‘soul’ which lives on after death; or a ‘persona’), plus more recognised psychological explanations (Jungian archetypes; mental events such as hallucinations and apparitions brought on by stress, wish-fulfilment, loneliness, etc; or psychoanalytic, often Freudian, explanations). In the end, Wiebe finds that none of these explanations can explain all the events he has recorded. The conditions or causes supposed in each explanation are simply not present in each case. Wiebe concludes that to make any of these explanations’work’, a physical (neurophysiological) process must constitute a ‘deeper’ cause. Neurophysiological mechanisms relate to the physical (electro-chemical) events in the brain, and would probably be the type of explanation most favoured by scientists today. No-one doubts that neurological processes are involved in visionary experiences (or any other thought processes for that matter), the question is whether they provide sufficient explanation on their own. A hallucination in this category is defined as an apparent perception when no external object is present – i.e. it’s all in the brain. Wiebe examined several mechanisms proposed to explain how the brain might produce hallucinations: the Perpetual Release Theory (genuine sensory perceptions are stored in the brain and released at some other time when the object is no longer present), the Information Processing Theory (a development of the previous theory), the Overactive Reticular System Theory (abnormal events in a part of the brain which cause hallucinations, as may occur with schizophrenia) and Pharmacology (hallucinations caused by natural hallucinogens). Again, Wiebe concludes that none of these theories has yet been developed enough to be considered an adequate explanation of the visions he recounts, especially those involving more than one sense, repeated appearances, or events observed by more than one person. There doesn’t seem to be any particular type of person that is prone to have visions of Jesus and Wiebe believes that Christic visions are evidentially more common than is ordinarily believed . None of the naturalistic explanations seems capable of fully explaining them, though that may perhaps change with further research. The following stories have been collected from around the web. I have discarded many because they were from sources that I judged as less factually reliable, and have chosen ones that seemed to have a greater ring of truth. But these stories are just a small sample of a large number of similar reports. Wikipedia tells the story of Gulshan Esther, a wealthy Pakistani Muslim who was crippled by typhoid from the age of 6 months. Despite treatment by the best doctors in Britain, she was not cured. When she was 19, she had a vision of Jesus and was cured of her illness. She remained a Muslim, but eventually converted to christianity, was deprived of her family inheritance (which was considerable) and went to live in Britain. In A young Muslim intellectual changes course, I tell the story of Nabeel, a smart young US Muslim who converted to christianity after a vision and three dreams, all of which confirmed in him the conclusion that Christianity had better answers and evidence than Islam. Don Richardson is a Canadian christian who has researched world missions. In his book Eternity in their hearts he tells many stories of people believing in Jesus because of dreams, visions and other experiences. In one case, more a vision from Jesus than of Jesus, a man in an Ethiopian tribe saw a vision of two men coming to his village to tell them about God. Years later, missionaries came to his tribe, the Ethiopian man listened, believed, and is now one of thousands of christians from his tribe. A Sikh woman and her husband used to read their scriptures and prayed very day. One night while she was praying, she had a vision of Jesus. This led to her conversion, and after some study and questioning, her husband also. In 1987 Nasir Siddiki was admitted to Toronto Hospital with a bad case of shingles and such a high temperature he was not expected to survive overnight. In the night a light entered his room and he saw the outline of a person, who told him he was the christian God. When the doctors checked in the morning, he was healed, and he subsequently became a christian. A Muslim teenager who God spoke to in a dream, and who subsequently saw a vision of Jesus, chose to follow Jesus as a result. On the same site are many other similar stories, including this one of a number of Filipino Muslims who saw visions of Jesus after fasting and prayer during Ramadan. More stories of Muslims seeing visions of Jesus and choosing to follow him as a result – this time a documentary on video. The Jesus Visions website has stories of dreams, healings and other supernatural events in the Muslim world, leading people to believe in Jesus. There are many such stories on many such websites, and some of them don’t necessarily give you confidence. There is no perfect way to test the reality of these stories. Sceptics can simply disbelieve them, or (more likely) believe they have natural explanations, and there is no way that I know of to refute or confirm their conclusion absolutely. Believers are in the same position of being unable to confirm or disprove. So are we left with each “side” sticking to their prejudices? I think there is a little more we can do. In the end, many people’s lives have changed dramatically, often at significant personal cost, because of these experiences. These people can be questioned and observed, and the external realities confirmed. That much can be verified, and has been verified in many cases. So we can know that many of these stories are not urban myths, and therefore they require an explanation. Simply saying it is all psychological or emotional won’t be enough. Those hypotheses have to be tested. Fortunately, that has been done for the Canadian reports discussed above, where the obvious simplistic explanations (e.g. hallucination) don’t always stand up to scrutiny. I am not aware of any study of these Middle Eastern and Asian events, but I imagine analysis of them would lead to similar conclusions. But one aspect requires extra explanation. If these experiences are “merely” psychological, we might expect people in nominally christian countries to have visions of Jesus, but it is hard to explain why Muslims with very limited knowledge of Jesus would have visions of him. The interesting thing is that there are thousands of such reports, especially of Muslims seeing visons of Jesus and converting, often semi-secretly. So while it is easy to dismiss some reports, it is difficult to dismiss them all. It is impossible to know how many stories are true accounts, but the sheer weight of numbers and the personal testimonies on video indicate that something is happening. Does all this tell us anything about God? These visions of Jesus are so diverse that they present a challenge to all viewpoints. But it seems there is enough evidence here that cannot easily be explained scientifically to refute the oft-made claim that there’s no evidence for God , though not enough to ‘prove’ God exists. But those who really want to know whether there is evidence for God in people’s experiences have some challenging information to consider. But many of those who have had such experiences have already made their choice, and consider them sufficient reason to believe, and to change their lives as a result. 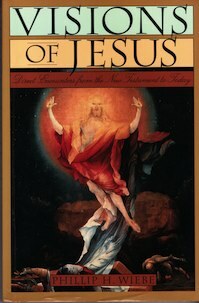 Graphics are from the cover of Philip Wiebe’s book, Visions of Jesus.